Running: I was short by a little over half a mile. 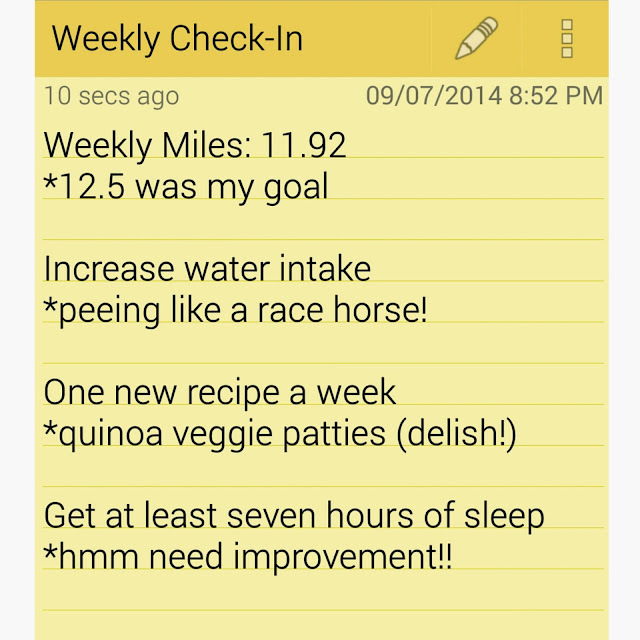 My total monthly goal is 50 miles so weekly that averages out to 12.5 miles. This only means that I will have to pick up the slack this coming week. As long as my final mile count is 50 I will be ecstatic. H20: Man did I take this one seriously! I kept waking up with headaches and dehydrated and so far with the increased water intake I am waking up so much better. Of course this also means that I am constantly in the bathroom. Breaking the seal early in the day calls for many restroom breaks! New Recipe: I found this recipe a few months back. I can't even remember where but I had been wanting to try it. They turned out great and my husband even liked them. If you want to see the recipe for my Quinoa Veggie Patties click on the link or check out my previous blog post. Sleep: Yeah I try to get at least seven hours of sleep, but honestly this one needs more improvement. I probably did this about 3 days this past week. I kept averaging about 6 hours on the other days. Overall I wasn't very tired but I know my body needs its rest. Other than going to bed earlier I don't know how to improve on this one. I normally wake up either at 4:29AM or 5:30AM. I never really sleep in even on my days off. Treadmill Workout: I forgot to place this one on my notepad but happy to report I did do it! 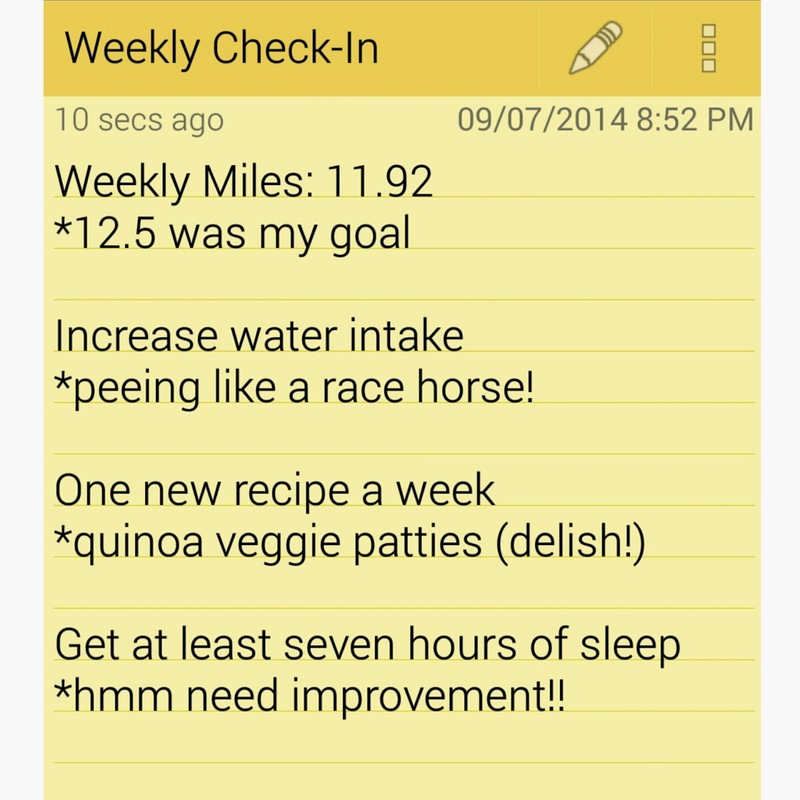 My goal was to implement new treadmill workouts. So far the first one was great. I have a few more in store this coming week. Check my previous post for the Hill Interval Treadmill Workout. Overall I would say I am doing pretty good. If you set goals this month, how are you doing?